World Bamboo Day is organised by Ikebana vzw for Belgium. 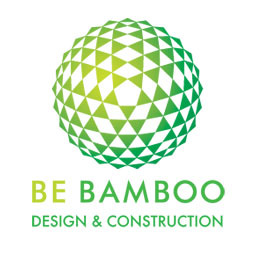 BeBamboo used the name 'Bamboosting the future' as a worktitle for this world wide event. For this occasion a bamboo dome village was erected on the Korenmarkt, Ghent. A 14 m central dome, flanked by two 6 m domes and an 8m dome used as an info point. Oprins Plant nv delivered a beautifull collection of bamboe plants. Friday evening 16th of September our Mayor Daniel Termont opened the mini bamboo festival by cutting a bamboo pole. OdeGand & Festival Van Vlaanderen programmed bambuso sonoro, a bamboo orgue on saterday the 18th of September. The party that night by the Glimmer-twins was a big succes. On sunday car-free sunday, the mobility department from the city of Ghent used the central dome as a starting point for the walks in and around Ghent. A concert by Sidi Caravan was the closing act for this mini- festival. The purpose of this event was to generate rumour around the possibilties for the use of bamboo in general and to promote our domes . Our second purpose, checking out set-up and take-down times was fruitfull, the construction times were well within the designated limits.